Impress your friends and show them the world as it was viewed through heat / thermal vision. You can also take some photos. 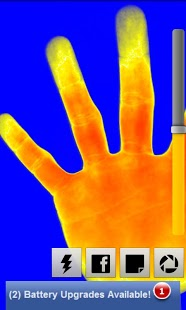 This app only simulates the color theme of a thermal vision camera so you can take cool photos. 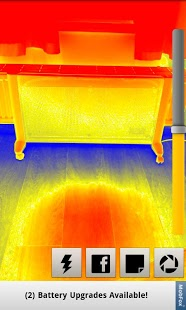 This is no real thermal vision, special hardware is needed for this! You can tune the effect with the slider. Realtime effect can be slower on older phones!